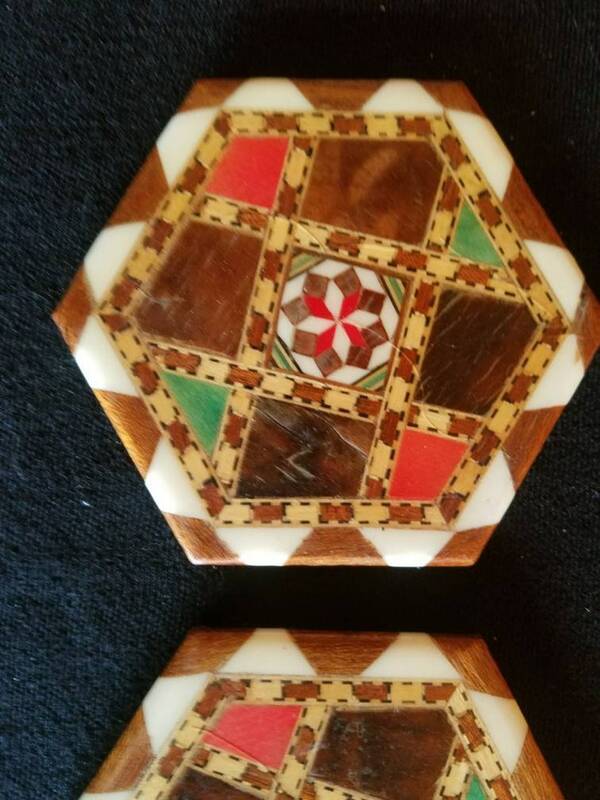 Coasters for your drinks in a barn quilt style with inlaid wood and other materials. In red,green,brown and white. A retro set of 4 in a mid century modern style. They remind me of barn quilt paintings. These are beautiful drink coasters to accent your table or vintage,farm,country,shabby chic or rustic decor. Super Moon Airstream, Original Oil 24" x 20" plus a frame, Framed in wood and metal repurposed materials.